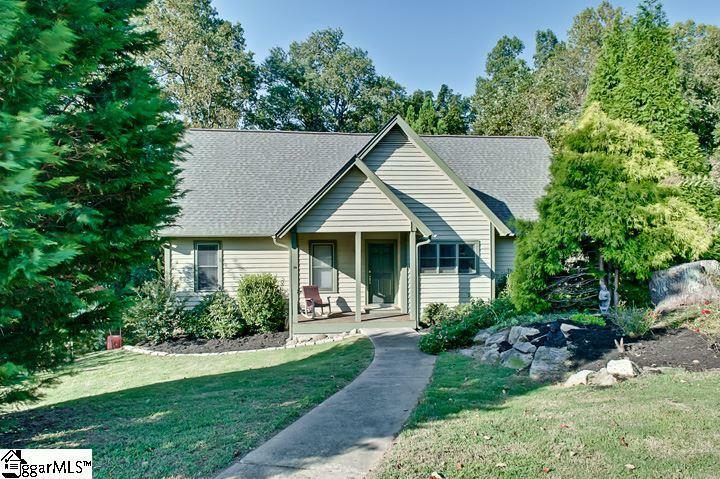 Great opportunity to live in a retreat-like setting, with wooded private back yard. 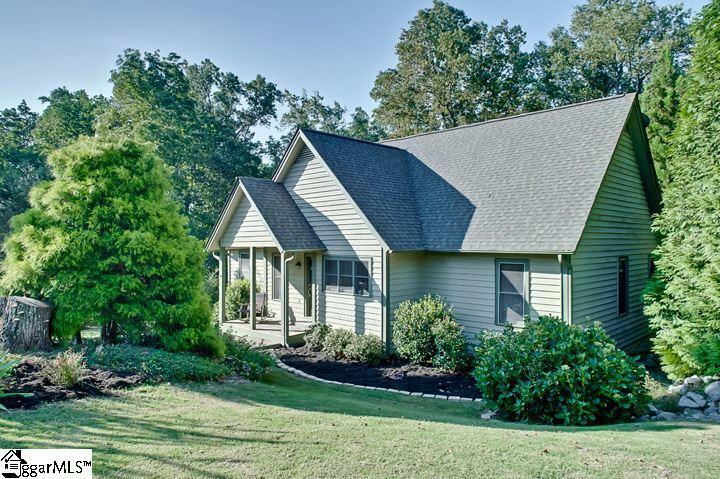 Welcome to 130 Raptor Way in Landrum! From the front you would think this home is small, and you are wrong! This property is "packed with a punch of square footage, offering a great place for family gatherings, social gatherings, or one level living if thats all you need most of the time. 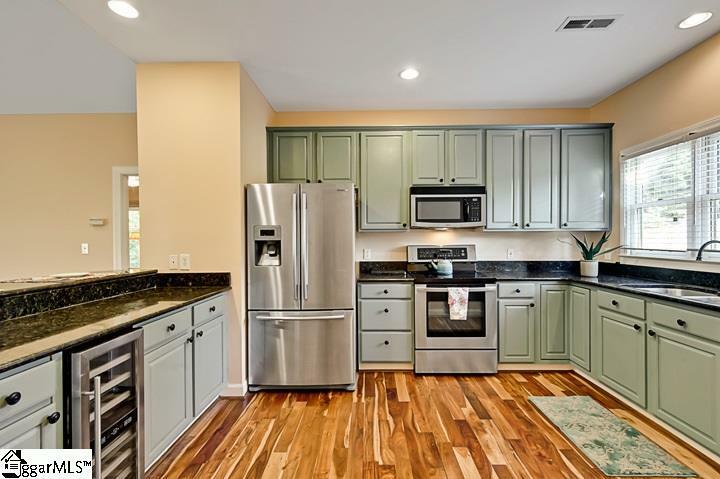 From cathedral ceilings, updated kitchen, hardwoods, rock fireplace, sunroom and full finished walkout basement, no feature has been left out. 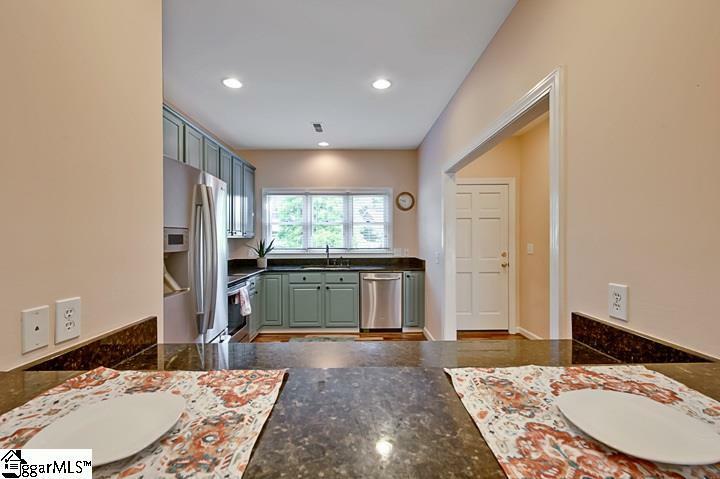 Off the kitchen is a pantry, that can also be converted to a half bath if the new owner prefers that, with plumbing stubbed in place. On the main level are two bedrooms, split by the great room. The great room is large with floor to ceiling rock fireplace, and opening to the sunroom. The basement allows for another entire living space with kitchenette, full bath, and great room that can be utilized as a downstairs bedroom. There is a walk out to a covered porch as well as plenty of storage! Off the beautiful deck mountain views can be obtained without losing the wooded privacy that is this homes back yard. Great location with back gate access! Convenient to amenities as well. This property can also be a great 2nd home for AirBNB if youre looking for an investment property. "Its a great day on the Mountain! Come see why today.